Sumo Digital is opening a brand new development studio that will focus solely on mobile games, GamesIndustry.biz can reveal. It will be the seventh studio Sumo owns, and the sixth based in the UK. The opening follows the recent acquisition of Red Kite Games, and last year's purchase of acclaimed Brighton studio The Chinese Room. The new branch is based in UK games hub Royal Leamington Spa, and will be headed up by Chris Southall as studio director. Southall was the founder of Sega Hardlight, the team behind the publisher's free-to-play titles such as Sonic Dash, Sonic Jump and Crazy Taxi: City Rush. He previously held leadership roles at Codemasters and Sega, including CTO at the latter. 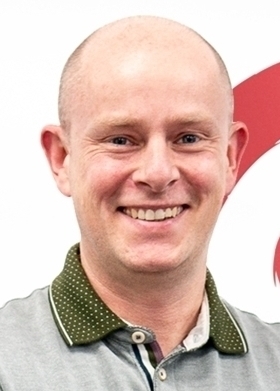 Sumo Digital managing director Paul Porter tells GamesIndustry.biz his availability "was the catalyst for the decision to start a new studio in Leamington." "I have a huge amount of respect for Chris," Porter says. "I've enjoyed being able to work with him on many projects since we first met when he was CTO of Codemasters. He's an inspirational leader who is the ideal person to build and drive this new studio forwards." Southall adds: "Over the past 15 years, since Sumo was established, I've followed their journey. Both from afar and up close on projects where we've been partners, I've always been impressed with the way they've worked in detail, run their business at a strategic level and how they continue to grow in an ambitious, sustainable way. So I'm delighted to have the opportunity to be able to join them and be part of an inspiring business at a time where our industry is more exciting than ever." Leamington is already a "dynamic hot-bed of creativity", as Porter describes it, with plenty of established talent for Sumo to potentially draw from. The town is home to numerous studios, including Forza Horizon developer Playground Games, Ubisoft Leamington (formerly the Activision studio behind DJ Hero), Lockwood Studios, numerous indies and, of course, Sega Hardlight. "Mobile is growing faster than PC and Console, and it's a market that Sumo doesn't currently focus on significantly"
Sumo's Leamington team will be dedicated to mobile games and, as with the company's other studios, it will work across a mix of original IP and licensed third-party franchises. Sumo has previously developed entries in the Crackdown and LittleBigPlanet franchises, is the creator of the Sonic & All-Stars Racing games (including this summer's upcoming Team Sonic Racing), and has contributed to Hitman, Forza and more. Historically, Sumo has focused on console and PC, but Porter believes the time is right for his firm to branch into the world's biggest gaming ecosystem. "The mobile game market is growing at a faster pace than PC and Console, and it's a section of the interactive entertainment market that Sumo doesn't currently focus on significantly," he says. "It has matured over recent years, with established business models and more opportunities to engage with publishers which aligns with Sumo's core business, so it's a great opportunity for us to broaden our development services." While the mobile market might be growing, and has an audience significantly larger than that of traditional platforms, it's still considerably more competitive. Long-running games firms have struggled to keep up with the likes of Supercell, Voodoo and King, whose titles dominate the highest-grossing charts on a weekly basis and have done for years. Southall remains confident, though, arguing that where others see a crowded market, he prefers to see the mobile industry as "really vibrant, dynamic and competitive", which in his view "is only a good thing." "It means all of us must endeavour to build great titles suitable for the audiences and platforms we're designing for," he says. "If we are firm on our vision, values and dedication to quality, our success will be measured by a lot of consumers enjoying our games over not just days and weeks, but years." He adds that his own learnings from almost seven years at Sega Hardlight also ensure he can hone what mobile expertise Sumo does already have into a successful new business. "Having previously built a studio, from the ground up, to deliver successful, free to play mobile games for millions of daily active players over years of service, I believe this experience brings a more in-depth understanding of the space," he says. "I'm excited about utilising my experience to help broaden the services Sumo is offering. I'm also certain that I'm going to learn loads from Sumo who are a world-class partner for their clients, so I'm looking forward to the years ahead."